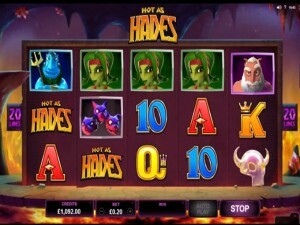 Hot as Hades is a title from Microgaming which focuses on the Underworld, the Ancient Greece name for Hell. Hades was the ruler of this Underworld, so the title tries to suggest that Hell connection, even though the Greeks didn’t believe in it being a fiery territory. 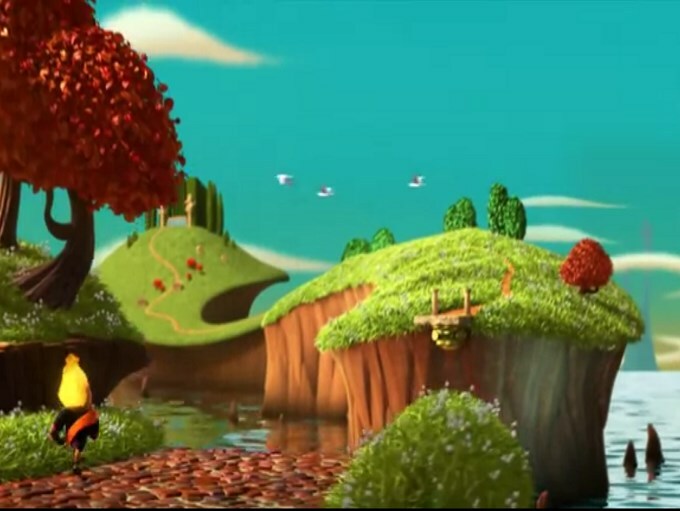 The game looks modern, with 3D characters and with some very interesting features being part of it. 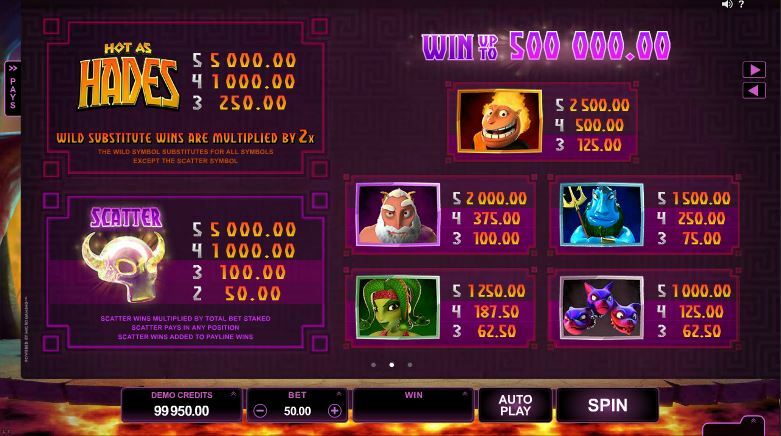 The game does quite well in a lot of cases, especially feature wise, with wild symbols and multipliers, scatter symbols, bonus games and modes that activate free spins at random. 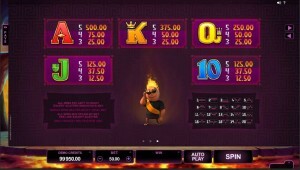 This 5 reel/20 lines game has payouts of up to $5,000 to give away. The features are a mix of typical and new options, so you’re going to find your favorites, but you’re also going to get some new ones from the game, making sure you’re not going to be bored anytime soon. On the list, you will find the wild symbol with its multiplier, the scatter, a bonus game and a Super Mode with free spins and some extras to make them better. 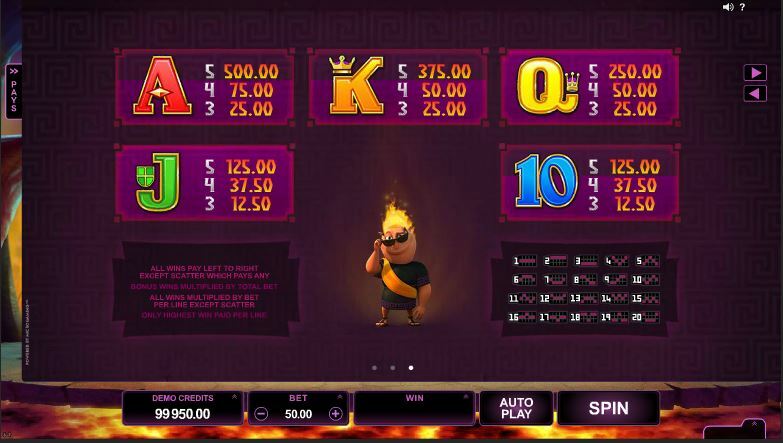 The Hot as Hades Logo is responsible for some of the best payouts of the slot, while also giving you extra chances to create combinations. It does this by acting as a substitute for other symbols, as long as it lands on the exact spot where another regular symbol is needed. If that happens, it will take its role, and the combo can be formed. At the same time, it will multiply the prize by 2x, doubling its value. The scatter symbol has the image of a Crystal Helm on it. It’s the symbol that can give out prizes by being in random spots on the reels, and as long as you have it present enough times you will get your reward. 2 to 5 symbols will give you payouts of 1x to 100x the total bet. This bonus game gets started by the same scatter symbol that I mentioned above, the one with the Crystal Helm. You need between 3 and 5 of those symbols, and if they are scattered on the reels they will help you out by triggering this feature. The aim here is to reclaim a crystal helm, which has as guards a few conniving godly siblings (as the game describes them). You have to outwit the enemies as you advance through the Underworld, winning prizes in the process. If you find Cerberus, you are awarded all the prizes that the level you’re on has. Make sure you don’t get into any hidden traps, as those will finish the Quest feature. The Crystal Helm can be won if you manage to advance through all four levels of the bonus game, and you get into Zeus’s Chamber. You receive an additional bonus prize if you manage to complete the feature and you get the Crystal Helm. The Super Mode is triggered at random, so there isn’t any special symbol that you need to get in order to activate it. 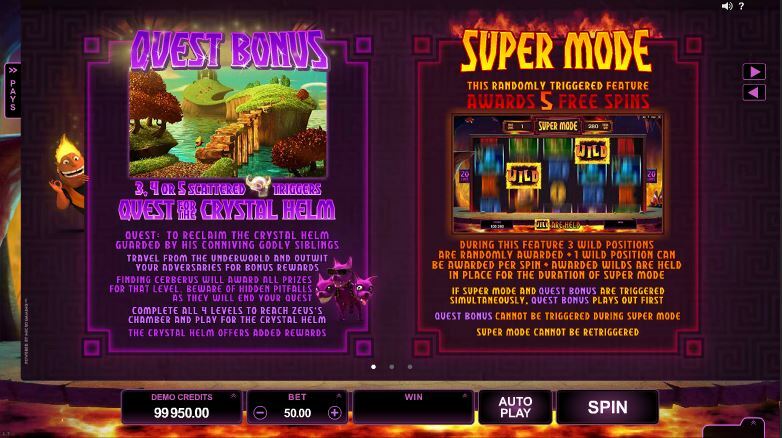 The Super Mode brings with it 5 free spins when it triggers, and they will benefit from three wild symbols, which will be randomly placed on the reels. You can get one wild position during each spin, and these symbols will stay in place until the feature is over. While the game only allows for bets of up to $50 to be placed, as many as 500 coins will be used for that purpose. The denominations range from $0.01 to $0.10, and you can select between 1 and 25 coins per line, so the line bet reaches $2.50. With the help of the wild symbol, you can get paid $5,000 by this game, meaning about 50,000 coins (2,000x) that will come your way. The scatter symbol is also capable of offering that amount, plus the Hades symbol can get to $5,000 if the wild symbol and its multiplier get involved. That’s three ways that you can get the maximum payout of $5,000, which partially makes up for it being on the low side. The action revolves around characters from the Greek mythology, with Hades being the main one in this case. He looks more like a teenager with hair that is on fire, than a true god of the Underworld. Other characters include Poseidon, Zeus, or Medusa. The design has a 3D quality to it, but it’s far from being as attractive as it could’ve been. 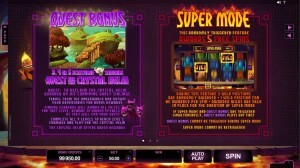 It’s clear that it’s a recently released slot machine though, it looks good enough to give you that idea, even before you find out about the features. Symbols: Game Logo (2,000x, wild), Crystal Helm (100x bet, scatter), Hades (1,000x), Zeus (800x), Poseidon (600x), Medusa (500x), Cerberus (400x), Ace (200x), King (150x), Queen (100x), Jack (50x) and 10 (50x). I’ve found it a very entertaining game, with payouts being quite decent in average, but with the top rewards being rather low. The graphics and the theme would be other good reasons to play this game. 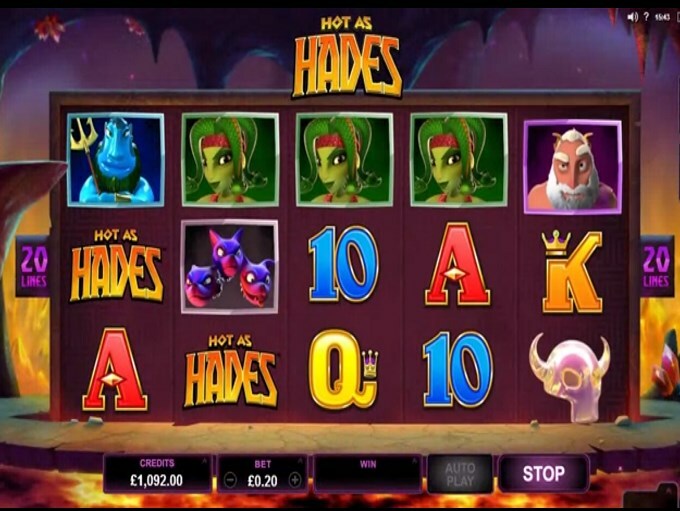 This Hot as Hades slot is offered by all online casinos with Microgaming software, playable either in practice or in real money mode.